Product categories of Cashew Processing Machine, we are specialized manufacturers from China, Cashew Processing Machine, Cashew Nut Processing suppliers/factory, wholesale high-quality products of Cashew Machine R & D and manufacturing, we have the perfect after-sales service and technical support. Look forward to your cooperation! 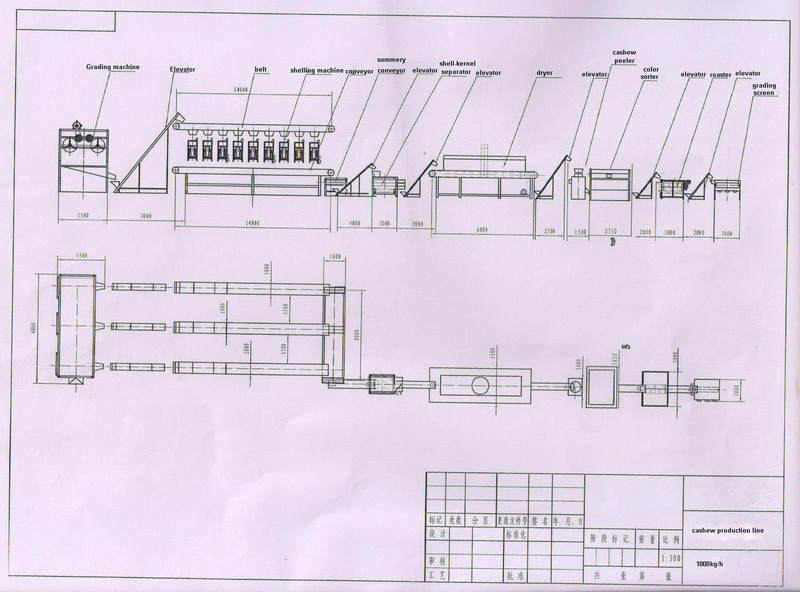 The Cashew Processing Machine is the special machine for processing cashew! Usually we will accord the customer`s need to equip the machines; we have the semi-automatic type and fully automatic type! The difference is the fully automatic types all equip the conveyors to contact each machine! The cashew processing machine including the cashew grading machine, cashew cooking machine, Cashew Shelling Machine, cashew separating machine, Cashew Peeling Machine, cashew Roasting Machine, cashew nut grading machine and packing machine if need!